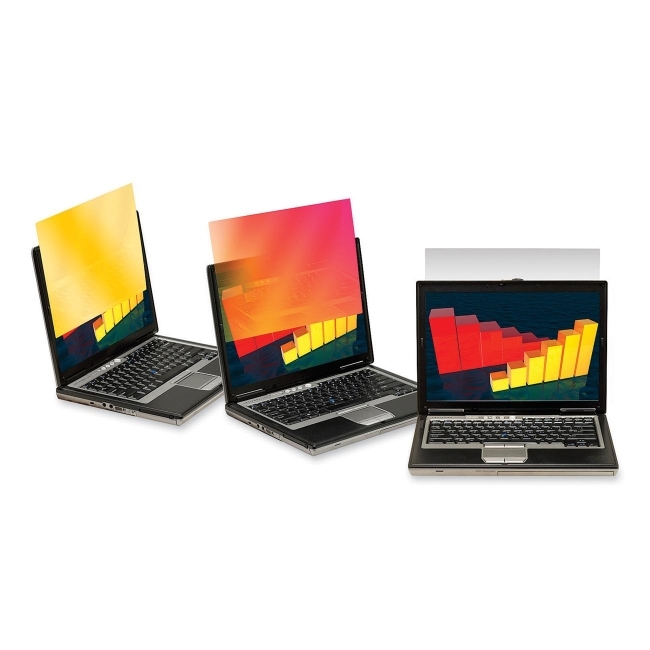 Privacy filter keeps on-screen information private with golden opalescent tones on 14.1" wide-screen laptops or desktop monitors. Screen data is only visible to persons directly in front of the monitor. From the side, passersby see a sunset of red, orange and gold hues while, from the front, it appears completely clear. User sees data with no blurring or distortion. Filter actually reduces screen glare up to 95 percent. Filter also protects computer screen from scratches, fingerprints and damage and stays in place when your notebook computer is closed. Frameless design offers easy-on, easy-off attachment; 16:10 aspect ratio and a plastic viewing area.